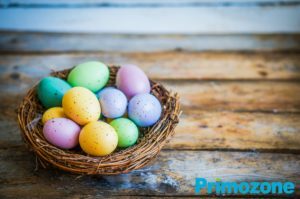 During the Easter holiday, the consumption of eggs doubles in all the countries which have Easter egg as a part of Easter celebration. European nations consume approximately half an egg per day on average compared with almost one egg per day in many Asian countries. The use of ozone in food production is more common than you might think. By dozing limited amount of ozone into the production environment (in the air) it keeps down bacterial growth and possibly break down harmful gaseous compounds that are by-products in poultry production, creating a better environment for the birds and the staff working in the poultry facility. It is also believed the hens utilizes the feed better, are healthier and are less likely to become sick when ozone is used which leads to fewer vaccines and drugs needed during the production which again means healthier products for the consumer. Ozonated water is used to feed the hens as drinking water, wash and sterilize meat and equipment to kill harmful bacteria, virus, and pathogen. And to close the circle, ozone can be used to treat the wastewater in such way that it can be reused! When enjoying your Easter eggs, please remember that ozone might have been involved to make sure you can enjoy a good easter egg. How to determine whether an egg is fresh or not. Put it in a glass of water. A raw egg falls but an old egg floats.